Michael Albright graduated from the University of California, Santa Barbara in 2004 with a BA in Film Studies and English. Shortly after graduating, he moved to New York City and worked with renowned documentary filmmaker Albert Maysles. Albright then returned home to Reno, NV where he started Project Moonshine, a non-profit organization designed to teach filmmaking skills to teenagers by providing opportunities to document important community events. Some of these projects included documentaries on Sonic Youth, Califone, Nevada beekeepers, collaborations with non-profits and local art projects. In 2006, Albright also started, Moonpix, an independent documentary production company that he uses to produce his own videos. While he occasionally collaborates with past students from Project Moonshine, documentaries created under Moonpix are generally Albright’s solo projects. 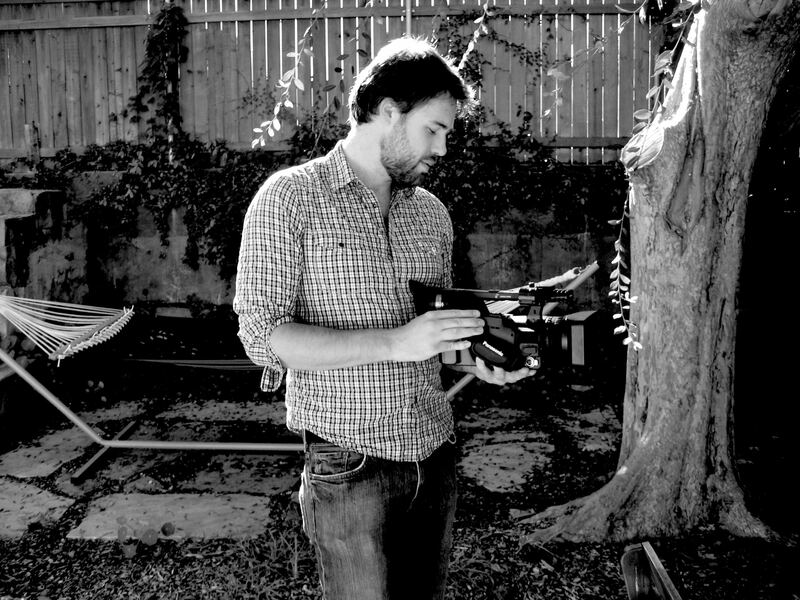 Albright recently completed his MA in Cinema and Media studies at UCLA in 2008 and continues to make films and manage Project Moonshine during the summer. His approach to teaching incorporates both theory and practice and he is a strong advocate of media literacy. Albright is currently pursuing a PhD in Film and Media Studies at UCSB and along with his scholarly work he is shooting several documentaries. His research interests include, Cinematography and Camera Movement, Alternative Media, Production Studies, Documentary and Electronic Culture.